Never lose your way again with the inbuilt Sat Nav, plus our 640d comes with Heated Electric Seats, Harman Kardon Sound System, Automatic Xenon Headlights, Cruise Control, Rear Parking Sensors, One-Touch Electric Windows, Electronic Climate Control and a CD / DAB Radio with USB and AUX in. Finished in 'Soul Crystal Red' Paint and 16inch Bright Finish Alloy Wheels our Mazda MX-5 comes with specification including Lane departure warning system, Rear parking sensor, Traffic sign recognition, Driver alert system, Cruise control and speed limiter, Hill hold assist, 7inch touchscreen with multimedia commander, Satellite navigation system, Heated front seats, I-ELOOP, i-stop, Premium Bose sound system with 9 speakers with 2 in each front headrest, DAB radio, Electrically operated body colour retractable hard top with heated rear glass window, LED daytime running lights, LED Headlights, Sports seats, ISOFIX front passenger seat child seat compliance and much more! 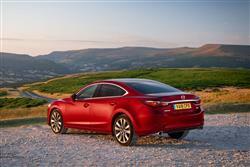 Finished in the gorgeous 'Soul Red' paint our Mazda 6 comes with standard specification including Bluetooth connectivity with voice control, Windscreen wiper de-icer, 8inch touchscreen with multimedia commander and Aha and Stitcher app, Colour head up display, Satellite navigation system with european maps, 360 degree parking camera, Adjustable speed limiter, Blind spot monitor with rear cross traffic alert, Driver alert system, Electric power steering, Front and rear parking sensors, Intelligent speed assist, Lane keep assist system, Radar cruise control, Traffic sign recognition, Bose Premium Sound System with 11 Speakers, DAB Digital radio and much more! Finished in 'Machine Grey' Paint and 16inch Bright Finish Alloy Wheels our Mazda MX-5 comes with specification including 7inch touchscreen with multimedia commander, Satellite navigation system, Rear parking sensor, Traffic sign recognition, Cruise control and speed limiter, Driver alert system, Hill hold assist, Lane departure warning system, Premium Bose sound system with 9 speakers with 2 in each front headrest, DAB radio, Aha and stitcher app, Hands free phone preparation, Heated front seats, Sports seats, LED daytime running lights, LED Headlights, Smart City Brake Support - SCBS, ISOFIX front passenger seat child seat compliance and much more! Finished in 'Machine Grey' Paint and 17inch Gunmetal Alloy Wheels our Mazda 6 comes with specification including Bluetooth connectivity with voice control, Blind spot monitor with rear cross traffic alert, Front and rear parking sensors, Intelligent speed assist, Lane keep assist system, Radar cruise control, Reversing camera, Traffic sign recognition, 8inch touchscreen with multimedia commander and Aha and Stitcher app, Colour head up display, Satellite navigation system with European maps, Heated front seats, Heated steering wheel, DAB Digital radio, LED Headlights, LED rear combination lights with LED rear turn lights, LED third brake light and much more! At roundabout take the 2nd exit, then merge onto the A45. I was met by 2 very pleasant, professional, assistants. I also received a telephone call to say my car was ready to be picked up. It was Alexandra and David Curtis who handled my request for help. Both did a super job and I'm very grateful to them for getting me on the road again quickly. 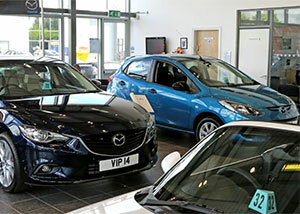 Welcome to the Motorparks Northampton Motors Mazda car dealership, where you can select from a fantastic selection of vehicles from the iconic Japanese manufacturer. 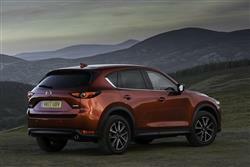 Style and practicality go hand in hand across the entire Mazda range, which is made up of vehicles suited to all types of drivers. 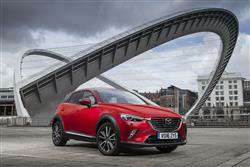 Check out our Mazda Northampton Motors stock below and you will find the nimble new Mazda 2, the family-friendly new Mazda 6 and the off-road-ready new Mazda CX-5. 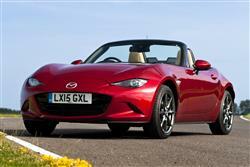 Of course, there is also the stylish new Mazda MX-5-an award-winning roadster that is sure to get you noticed when out for a drive. 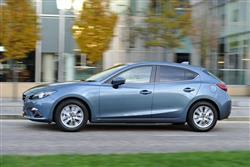 Hoping to buy a Mazda on a budget? 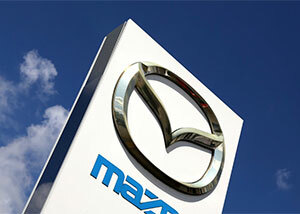 Not a problem, just take a look through our extensive collection of used Mazda cars to find lots of amazing deals. 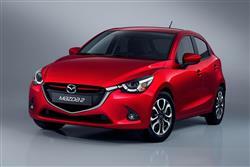 You can peruse all of our Mazda Northampton Motors stock online today. 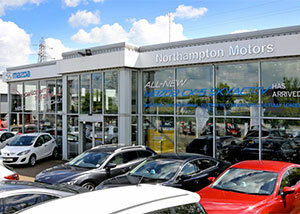 Alternatively, drop by the dealership if you're in the area-you can find us in the Riverside Retail Park, a short drive east of Northampton town centre.